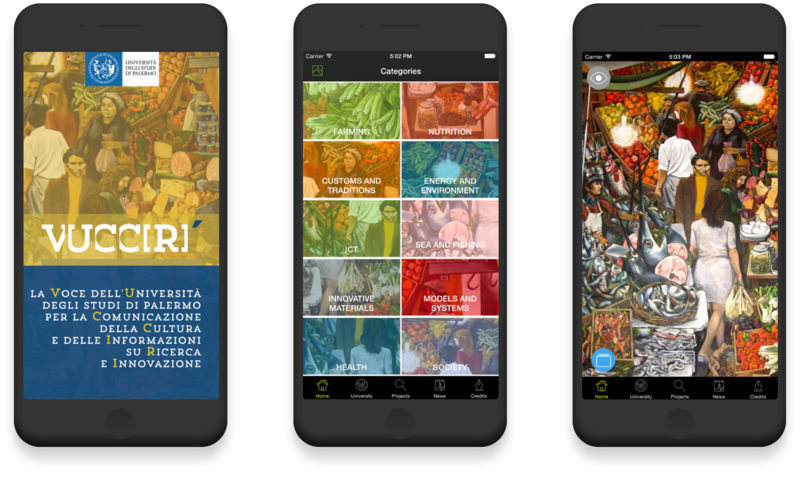 The mobile app Vuccirì uses the images of Guttuso’s painting “La Vucciria” to show scientific research at the University of Palermo and to disseminate its scientific activity. Vuccirì is the Voice of University for Culture and Communication and it represents a journey through the research projects and educational offered from the five schools in the University of Palermo. The Project and the painting “La Vucciria” were hosted by Expo 2015 inside the Italian pavilion and the mobile app Vuccirì is the icon of Palermo University.